If you are experiencing indoor allergies, excess dust, odors, black stuff blowing out or mold on your ceiling registers in your home, you need to call Power Vac America today. 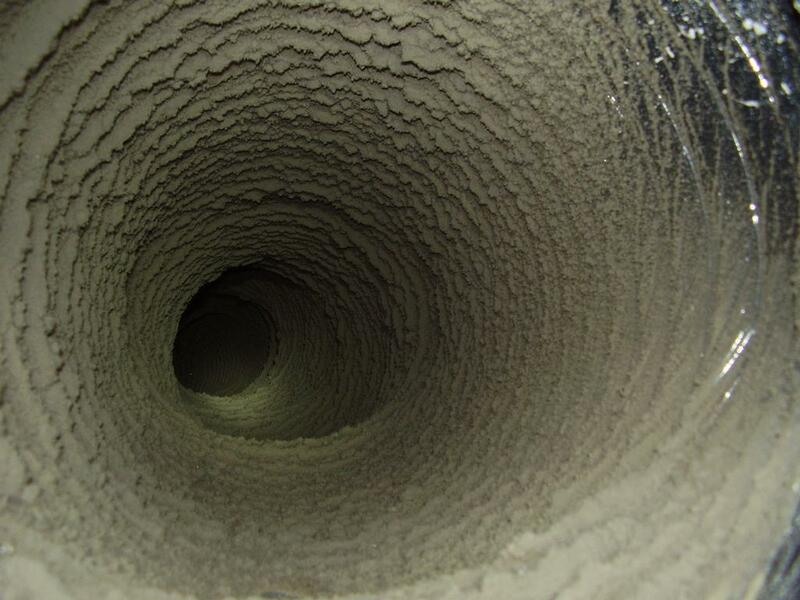 We have been performing air duct cleaning in homes in Houston and the surrounding area since 1991 (more than 25 years!). Power Vac America can solve these problems by professionally cleaning your air conditioning system and air ducts in accordance with the National Air Duct Cleaners Association (NADCA) standards. You will benefit from Power Vac America’s 25 years of experience doing residential air duct cleaning, our NADCA certifications and our state license (TACLA 28012 E). In the state of Texas, the residential air duct cleaning contractor is required to have an air conditioning contractor’s license to clean the evaporator coils, cut any access openings for proper cleaning of the plenums and to use any anti-microbial products. When do you need residential air duct cleaning for your home or apartment? Excess dust in your air conditioning system can cause allergy and respiratory problems for you and your family. 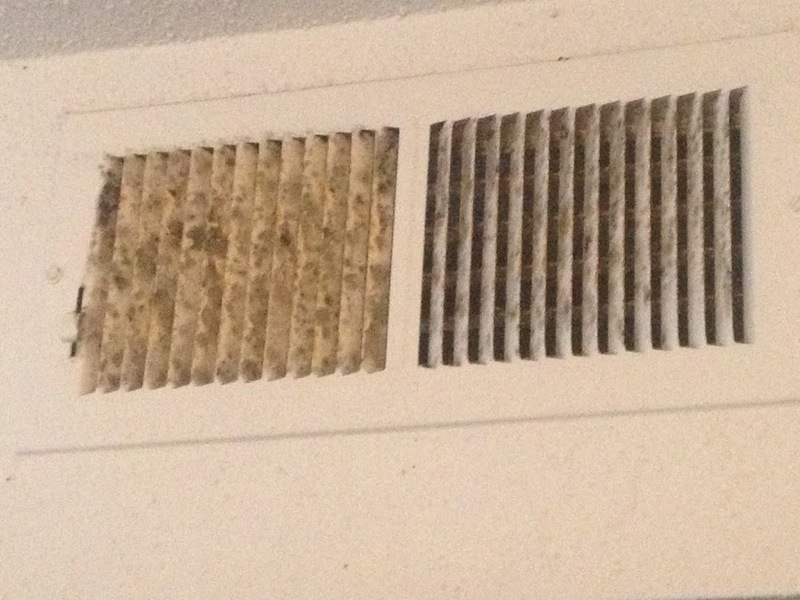 Over time, dirt, debris, dust and dander builds up inside of the air conditioning system and air ducts. The Environmental Protection Agency has stated that indoor air is up to 70% more contaminated than outdoor air. Left untreated, you may experience allergy and respiratory problems. According to the American College of Allergists, 50% of all illnesses are either caused or aggravated by polluted indoor air. Proper air duct cleaning removes the excess dust from your A/C system so that your air vents aren’t sending old dust or cat dander back into your home. Mold or fungus that is visible on your ceiling register and vents is a major reason to have your air ducts cleaned. With the high humidity levels of Houston, mold and fungus are common in the supply plenums (the box that the ducts hook up to before they go out to the rooms) and register boxes (the recessed box above the sheet-rock that the ceiling register/vents attaches to). Indeed, one out of six people who suffer from allergies do so as a direct result of the fungi and bacteria in their air duct systems. Removing mold and fungus is an important part of successful air duct cleaning in Houston, TX, and in the surrounding areas. To thoroughly address this problem, we must first get rid of the mold or fungus’s food source: the dust, debris, and dander in the A/C system. The next step is to treat the air ducts with an anti-microbial fog, followed by an anti-fungal coating to inhibit future mold or fungus growth. Odors that come from your air conditioning system are a major reason to call a professional air duct cleaner for residential air duct cleaning. The musty and mildew odor that you smell is caused by dirt, debris, dust, dander and mold accumulating inside of your air conditioning system. The origin of this smell may exist anywhere along the length of the A/C system: from the pan underneath the air handler unit, to the inner lining of the duct-work. To thoroughly address the problem of odors, professional air duct cleaning will begin by removing all dirt, dust, debris, and dander from the entire A/C system, followed by an anti-microbial fog treatment, after which the ducts will be treated with anti-fungal coating to discourage any recurrence or the bad smells and protect the future of your indoor air quality. In the state of Texas, the air duct cleaning contractor is required to have an air conditioning contractor’s license to clean the evaporator coils, cut any access openings for proper cleaning of the plenums and to use any anti-microbial products. The first step in residential air duct cleaning is always source removal, which means getting rid of all the dirt, debris and mold inside your a/c system. We clean every component of the HVAC system to the NADCA standards. These components include: the return ductwork, air handler unit (typically in the attic), blower, heat exchanger, evaporator coils, supply ductwork and the grilles and registers. Clean the Supply: We clean each supply duct run with a Rotary Power brush through the supply register in each room. The Rotary Power brush cleans the side walls of the ductwork. The negative pressure carries the debris outside. Each supply register is removed, cleaned and replaced. Our Equipment: Using our portable trailer mounted vacuum unit or portable equipment, we establish a high speed reverse air flow through each supply air duct run. We attach an eight inch diameter suction hose from the vac trailer or portable negative air machines to the supply ductwork. Our powerful vac trailer’s airflow lifts and carries all the organic matter and debris scrubbed from the interior of the supply ductwork out of the structure. This air flow also helps control any of the dirty material from being released into the home or workplace. Clean the Return: Using portable HEPA filtered vacuum, we manually clean the return chase and ductwork. When appropriate, the negative suction and Rotary Power brush are used to clean the return ductwork. The return grille is also cleaned. Clean the Air Handler: Using portable HEPA filtered equipment, we manually clean the air handler unit (typically in the attic), including the return plenum, blower, heat exchanger, evaporator coils, and supply plenum (the box that the ducts hook up to before they go to the rooms). When thoroughly cleaned, we treat the non-porous components of the system with an EPA registered anti-microbial (if/when necessary). This helps to prevent the further regrowth of mold and other fungal activity. This is an important step in residential air duct cleaning, and should only be done by a contractor licensed to perform work in air conditioners. We identify and repair air leaks around the air handler unit on an access-permitting basis. The components of the air handler unit are inspected for leaks. These air leaks are then repaired on an access permitting basis. 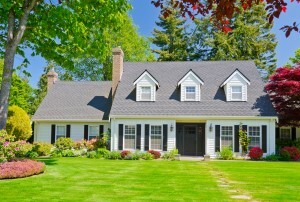 We examine the HVAC system during the entire cleaning process and report back to you any conditions in need of repair. Although we ourselves do not do any mechanical repair work, we are more than happy to refer you to an a/c company or relay our findings to your a/c contractor. We’ll stick with what we do best: duct cleaning for your home! Finally, we will resurface the internally lined portions of the air handler unit and supply plenum with an EPA registered anti-bacterial/anti-fungal coating to help prevent future growth of fungus and bacteria. This will also help the degradation of the internal fiberglass liner from “air erosion”. After we’ve finished cleaning your air ducts, in most cases you won’t need to have your air ducts cleaned in your home for several years! Power Vac America has been an accredited BBB member since 1991 with an A+ rating. We have been the recipient of the Awards for Excellence for the last six years and have been award the Pinnacle Award 3 of those years. Power Vac America also has a BBB Gold Star certificate! For the past 16 years, the Best Pick ribbon has represented a commitment to quality and service. Companies cannot buy this award. A company earns Best Pick certification when Best Pick’s independent research team has determined it to be exceptional with regard to its quality of work and customer service. This is our 5th year to be certified by Best Pick Reports! When you see the ribbon, you can feel confident about your home service provider selection, because each Best Pick has excelled in every step of our research process. Check A Pro’s goal is to offer the Houston consumer a select group of service providers that they have interviewed and vetted to ensure the highest quality service possible. 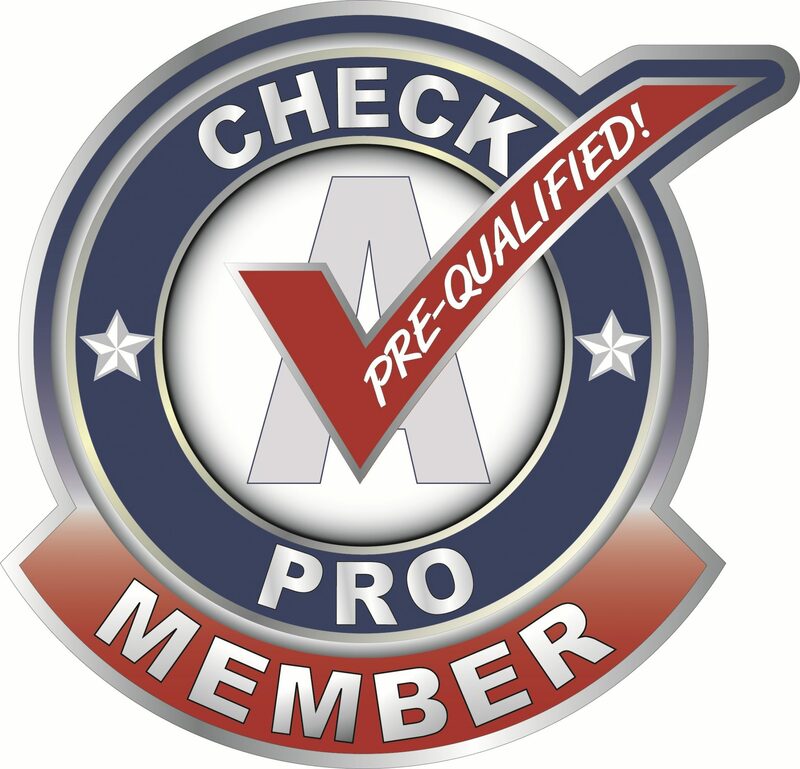 By carefully pre-qualifying every contractor, Check A Pro Joe selects only the best and top tier contractors. Want to read our reviews?